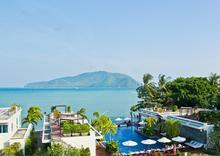 View and book from over 12 villas from 196 USD per night. Book with peace of mind with our Price Guarantee and local customer support. Perfectly located around 1 km from beautiful Nai Harn beach, this villa is within a short distance of a good selection of shops, bars and many tourist attractions. This villa is located at Rawai beach, south-east of Phuket Island and is a hidden paradise that you have to see to believe. Located on the magnificent area of Rawai in the southern part of Phuket, this villa has expansive 10,000-sqm land plot along with private lake. Located in Rawai, Phuket, this luxurious beachfront apartment has incredible views over Chalong Bay and the offshore islands. 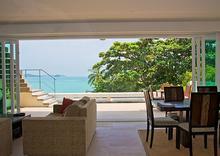 Villa Frangipani is a private villa, located on a quiet lane in southern Phuket. A choice for a family trip or holiday getaway with friends to explore tropical living. Located in Rawai, Phuket, this incredible apartment has gorgeous 180 degree sea views over Chalong Bay and offshore islands. Situated on Soi Suksan II in the Rawai area of Southern Phuket, this villa offers an oasis of tranquillity and peace yet it is within easy access of the best of Phuket. A four bedroom luxury beachfront villa in Rawai with private furnished sandy beach and direct amazing sea views - perfect holiday private paradise with best services. Located in the heart of Nai Harn, south of Phuket Island, this villa mixes traditional Thai architecture with contemporary lifestyle in a very strategic area.